Cheering on your favorite sports team with your favorite people while savoring your favorite wings is plenty satisfying on its own, but why not add even more gratification to the mix? The Buffalo Wild Wings®​​​​​ Blazin' Rewards® program is here to reward you for your wing-eating, sports-watching ways. Take a few seconds to learn why this exciting B-Dubs® rewards program is something you need in your life. 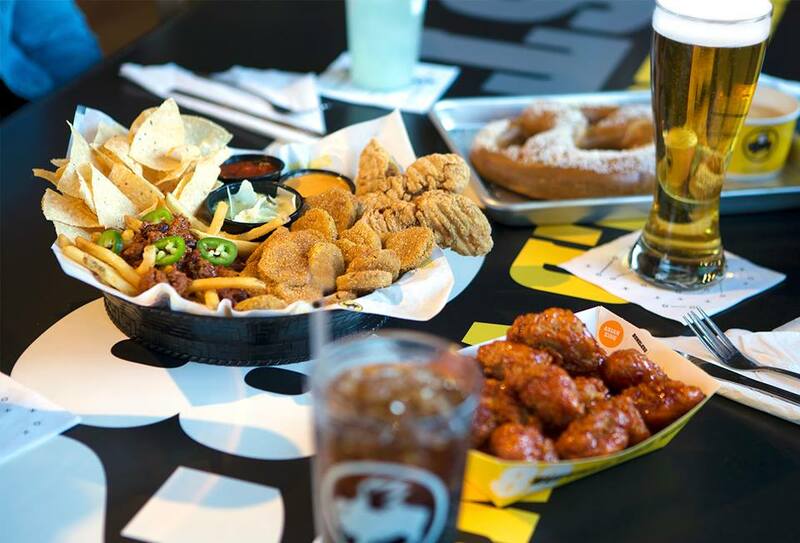 What Is The Buffalo Wild Wings Blazin' Rewards Program & Why Should I Join? The Blazin' Rewards program allows you to earn when you spend. Simply download the free Blazin' Rewards app or create an account online and fill out your interests to instantly earn 50 points. You’ll then earn 100 points for every $10 you spend on food at participating B-Dubs restaurants and sports bars, and 10 points every time you check in through the app. If you check in with friends, you’ll earn 10 points for each buddy you add. Oh, and there will be bonus point opportunities waiting in your email, so remember to check it regularly too. Redeem your Blazin' Rewards points with quick visits to the Reward Roster that never, ever disappoints. Use your points for everything from fountain drinks to regular sides to sauce to full-blown meals. There’s also plenty of delectable desserts and appetizers to deduct from your final bill — just give your phone number to your server or bartender to collect your discount. Keep in mind you cannot earn points on alcoholic purchases or redeem points in exchange for libations; however, you will stack points for online and takeout orders in addition to those you make in-restaurant. Points expire following six months of making no food purchases. You must be 18 years old and a U.S. resident to participate in the rewards program. Give yourself the ongoing gift of Buffalo Wild Wings Blazin' Rewards and get more out of every bite. They have 19 locations throughout New York and Connecticut, including Brooklyn, Manhattan, and Danbury. Visit the restaurant and sports bar online for more program information or to find a location near you. Keep up with the latest news, events, and offers on Facebook.